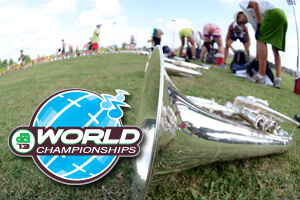 Fans looking to check out their favorite corps practicing for the 2013 Drum Corps International World Championships, can consult the list below to locate the Indianapolis-area rehearsal/housing sites for World and Open Class corps. All locations and information is subject to change. Consult each corps' website for the most complete and up-to-date information, as well as to find out if rehearsals are open to the public. Please note that many Indianapolis-area schools are in session. As a result rehearsals during school hours may be limited and are open at the discretion of the individual corps. Check with each corps' website or social media before attempting to visit any housing locations.